Wondering what you can do to fill your time when you come and stay at our Chalet cabin in Little Switzerland NC? 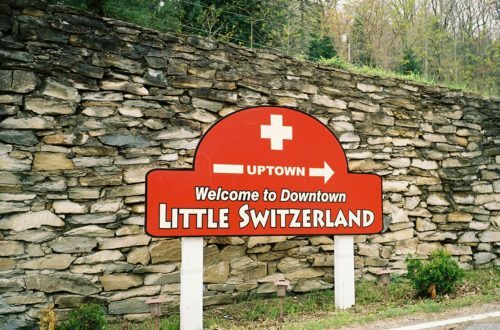 Even although Little Switzerland is small, it still has plenty to keep visitors occupied! Some of our guests enjoy just tucking themselves away in the cabin and enjoying the surrounding gardens and forest. However, if you do want to explore a little further afield then here are 5 examples of things to do while staying at our chalet cabin in Little Switzerland NC. Right across the street from La Petite Chalet you will find the wonderfully welcoming Books & Beans. This is a Coffeehouse with a difference! It is also a well-stocked bookstore full of both modern titles and rare limited editions. There is also a small art gallery upstairs featuring the work of local artists. It’s a lovely spot to spend an afternoon. Grab a seat by the fireplace with some coffee and pastries and enjoy a good book. Perfect on those rainy afternoons when outdoor activities may not be possible! At Emerald Village you can head underground and explore a real mine! 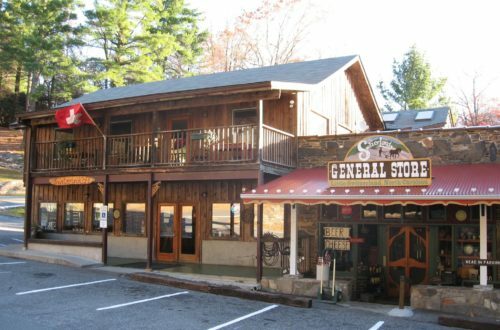 Just one of the many attractions you can enjoy at this replication of an old North Carolina mining town. The Gemstone Mine is lots of fun and you can pass the time searching for real gemstones or try your hand at gold panning! In the evening, you can also take part in special black light tours of the mine! Plenty to keep you busy when you visit for the day and just a 10 minute drive from our Chalet Cabin in Little Switzerland NC. If you don’t mind traveling a little further afield, then The Orchard at Altapass is well worth the 4.5 mile trip. Originally purchased as a preservation project to stop development spoiling the natural beauty of the area, The Orchard at Altapass has become a place to learn about the unique history and Appalachian culture of the area. 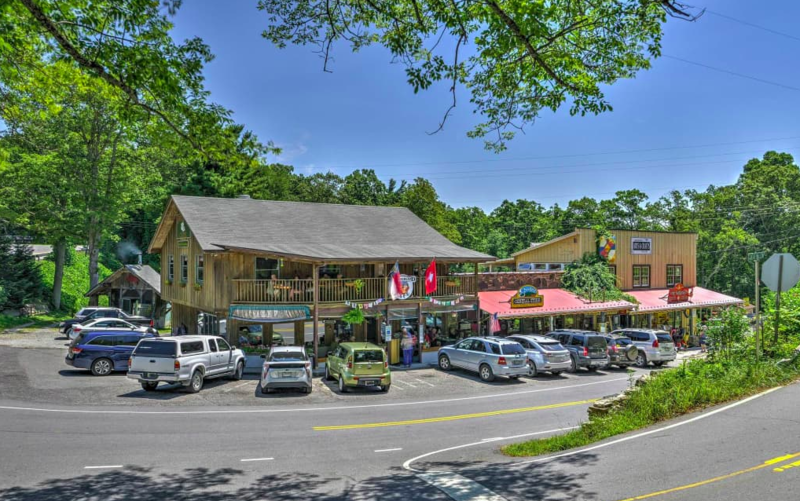 The onsite store is a great place to stock up on delicious jams, jellies, sauces and more which can be taken back to your chalet cabin in Little Switzerland NC to enjoy! You can also stop by The Apple Core Grill for some of the best burgers on the Blue Ridge Parkway! 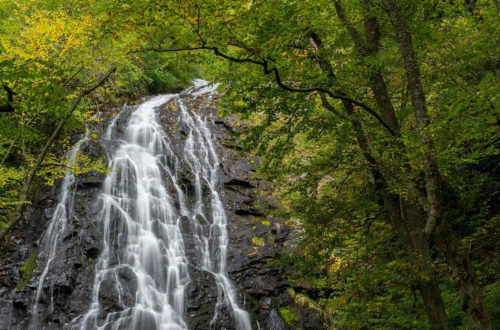 The Grassy Creek Waterfall Trail begins close to town and leads to a picturesque 30-foot waterfall. The hike is suitable for beginners and youngsters, so it makes for a great family activity to enjoy while staying in Little Switzerland for your mountain vacation. One of the things that the local area is known for is an abundance of mineral resources and a rich mining history. The Museum of North Carolina Minerals is a great place to learn more about it with a range of interactive displays charting over 3000 years of mining history. These are just a few examples of things that you might want to see or do when you come to stay in our chalet cabin in Little Switzerland NC. Our small town and the surrounding area have lots to offer and we encourage our visitors to explore and find some of the many hidden treasures up here in the mountains!